Discussion in 'The World Message Board' started by Vashtari, Jun 19, 2013. Stepping into The World, there are many functions that are self explanatory. 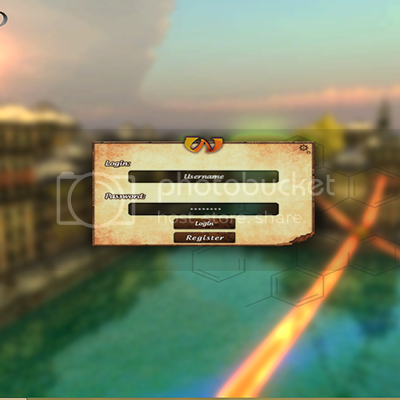 However, some of the basic controls are different than your average game. You will notice that game-play as mentioned in the PS3 games is similar here, minus having a PS3 controller. Please note that this game is not based off the PS3 games, but the portrayal of The World in the project called dotHack. 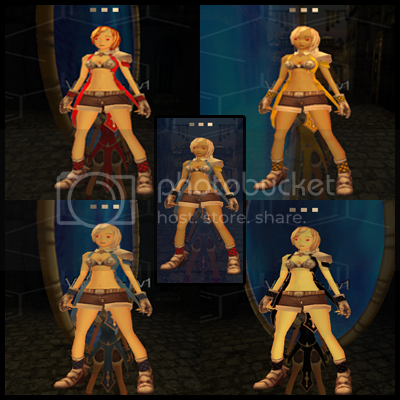 It is not a re-creation of dotHack. It would be best if you refer to this game as The World. That tingling up your spine, each time you say it, is perfectly normal. W & S - Forward/Backward. Shift + W is walk, but only when holding both. M - Mini map; always set to north; doesn't always show land features. F1 - Warp (press near Chaos Gate) Arrow buttons change keywords. Numbers - Spells/skills. It isn't top row then bottom row in the skills bar; they're consecutive in placement. *** For most of these you can toggle it for on and off. Numbers are the exception, of course. - Runs camera left & right, along with your PC. *Actually I think both (either/or) click & drag works here. - Selects items, use items. Only click once! * I didn't notice anything for Wavemaster here. Login Screen - Self explanitory. Type the username & password of your choice, then click Register, in order to create a new account. Note on Passwords: Make sure it isn't a guessable password, or something that relates to your character's name. Don't give out information to anyone that may compromise your account. Don't even let your best friend(s) know it. I've seen many cases (other games) where people were hijacked by those they called friends. Character Editing - You can hit F2 to edit your character and choose your class. Below are the basic color combinations available. Friends - Even though the game is in Alpha, we can still add friends. We lose the list, of course. Click the player you want to add. You have the option of trading, adding to party, or adding as a friend. Afterwards, you will need to hit P to access your friend's list. Whispers are done here as with most games, using /Username. 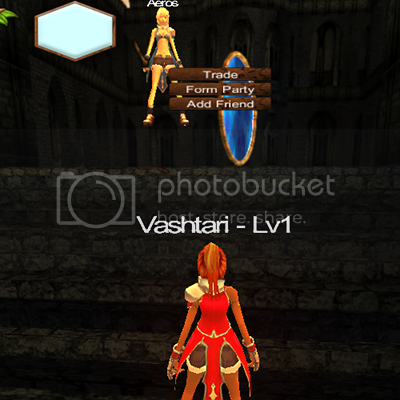 Warping - As mentioned above, warping is activated by pressing F1 near a chaos gate. There are two little symbols in the upper right that warp you to Aqua Polis (aka Mac Anu), symbolized by the V, or Mu Hel, which has a circle symbol. Both are root towns. You can also swap key words and come up with new places. This is done by using your up/down arrow keys to choose new words, and using your left/right arrow keys to go to the next selection. Then you click Warp. As of Alpha, not every place has a chaos gate. If you're able to remember where you were when you arrived to the new spot, just head back there so you can gate out. You press F1 for the same menu. If you're in a hurry, use the one of the symbols I mentioned above. Combat -Combat is pretty straight forward. Equip items by bringing up your inventory and clicking the item once. E is used to attack. You must be facing your opponent before you attack. If not, you'll just be attacking the air. 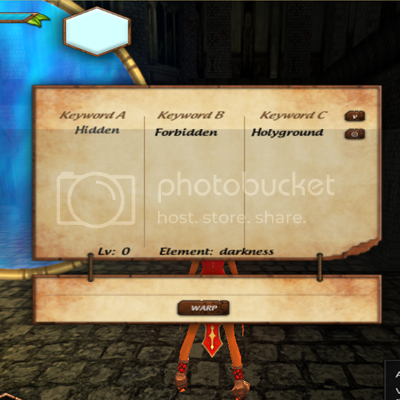 Using items such as potions or charms is also done by clicking once. Below is the skillbar and how to understand its order. If you have a staff, such as with a Wavemaster, you will need this to attack instead of just hitting E.
Looting - Looting items on the ground, such as the infamous Bear Cat Egg, is done by clicking the item. I believe chests are the same way. I keep running into bugs so I will confirm this through someone else, or myself. I will add in screen caps when able. Feel free to PM me with your own screen caps! It's best if you attach them and send them, so that I can custom crop & resize. Login Screen - Self explanitory. With the game being in Alpha, you can pretty much type in any name, no pass needed. Nothing is saved. If you log out, you will need to start over. Can you update that please? There is registering and character saves now. Yes, it's been updated. I've been pretty busy, so I couldn't get to it right away. Not a problem. Thank you. Help me, how do I. To show my sword in my hand? I can't do no matter this, what i do . Press 'F2'. Click the word "Class," and choose "Blademaster." Next, press 'I'. Click the "8 Phase Sword" once. Your sword should appear. If it does not, make a post in the new version thread. The classes currently have a funky bug. If you are experiencing problems equipping your weapon for your class, log out and back in. This has worked to fix the problem. Otherwise, it should equip on a single left click. I'll be downloading the update, and updating the controls if there have been any changes. I've been so busy working that I haven't played any games lately, period. gender locked? how do I change my sprite's gender? Are u a troll? You show up randomly and ask questions that have been answered dozens of times, you have had an account here for almost a year, and seriously, just open your eyes. I feel like you are just messing with us. Please stop. No I'm not. WTH... I keep checking but there's little updates whatsoever.... Plus I don't know where to look for FAQs. It has been said multiple times in many of the Latest Update threads. There is 1 character model in the game. This is an alpha build. And there are a lot of updates. With the exception of this month, there has been a new update every month for the last 3-4 months. For just 1 poerson working on the bugs and adding new features, I would say that is actually a good pace of updates. As for future questions u may have. Please post them in the correct threads in the correct boards with more then just "there should be races." Has anyone gotten a USB controller working, I have a PowerA Mini Pro Ex. I can only map square, circle, cross, triangle, l3 and r3. There's not, technically, any support for interface devices like that. Any idea why It was able to map the few ones that did register? Because the controllers are basically re mapping your computer's keyboard into that controller. Some keys will transfer. But I'm guessing that until the game is made to utilize it, you would have mapping issues. But it shouldn't be impossible to do. I just have no experience with such things.